Posted on Thu, Feb 2, 2012 : 1:50 p.m. Chances are you've never waited quite this long to pick up your dry cleaning. A local dry cleaning store owner who opened a new shop at the Colonnade shopping center on Eisenhower Parkway in Ann Arbor said she has secured about 100 items of clothing that were stuck in the shop when the previous dry cleaner abruptly closed last summer. Sue Koski, who recently opened Tiara Cleaners, said she found a variety of items — including shirts, pants and jackets — that were stuck in the store since the previous shop, Colonnade Cleaners, closed in July. The new dry cleaning shop at Ann Arbor's Colonnade Shopping Center on Eisenhower Parkway has secured the clothes that were stuck in the shop since the previous operation closed in July. Customers who lost their clothes when Colonnade Cleaners closed are welcome to stop to get them from the new shop. "They can come over and they can take a look and if they find theirs, they can take it," Koski said. Koski said she's unsure whether all of the clothes that were left from the previous shop are still there. Colonnade Cleaners closed quickly and mysteriously in July, leaving many customers without their items and the landlord saying he couldn't access the facility immediately with a court-ordered eviction notice. 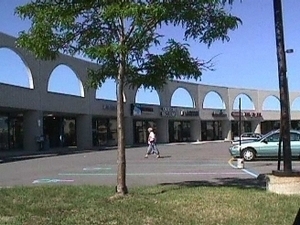 One customer, Linda Edwards-Brown, told AnnArbor.com in August that she had already been waiting eight weeks for her items. The new shop, Tiara Cleaners, offers a variety of services, including dry cleaning, alterations and wedding dress preservation. Koski also owns Country Cleaners in Belleville and Gault Village Cleaners in Ypsilanti. Fri, Feb 3, 2012 : 1:28 a.m.
Nice story, but the photo reminds me of the architectural atrocity called the colonnade. Fri, Feb 3, 2012 : 1:04 a.m.
this may not be entertaning but it is news. Why not skip the story instead of whineing about it? Thu, Feb 2, 2012 : 9:06 p.m. It's fine to hear &quot;nice&quot; news for a change. Thu, Feb 2, 2012 : 8:29 p.m. I think aa.com has a looser definition of the word &quot;news&quot; than FOX. Fri, Feb 3, 2012 : 12:27 a.m. I don't know if they have a looser definition, but they certainly have a different definition. I'm not sure if Fox News isn't a contradiction in terms anyway. While I wouldn't make this front page above-the-fold type news, I think it merits reporting. It's a local paper, it's a local business, it's local people; therefore it's local news. Plus it's kind of interesting. Thu, Feb 2, 2012 : 10:12 p.m.
this just in, dog bites man. Thu, Feb 2, 2012 : 9:19 p.m. Personally I did not lose my clothes at this dry cleaner, but every time I've driven past it in the last couple of months I've wondered what became of the clothing that was lost. It is NEWS, about a local business. Stop trolling. Thu, Feb 2, 2012 : 8:49 p.m. I always thought that for something to be newsworthy it required a level of public interest beyond 20 people. Thu, Feb 2, 2012 : 8:38 p.m.
You might feel differently if YOUR clothes were stuck there and you wondered when, or even if, you would get them back. Thu, Feb 2, 2012 : 7:21 p.m. Kudos to Ms. Koski. A fine gesture on her part and a great way to secure a customer base.